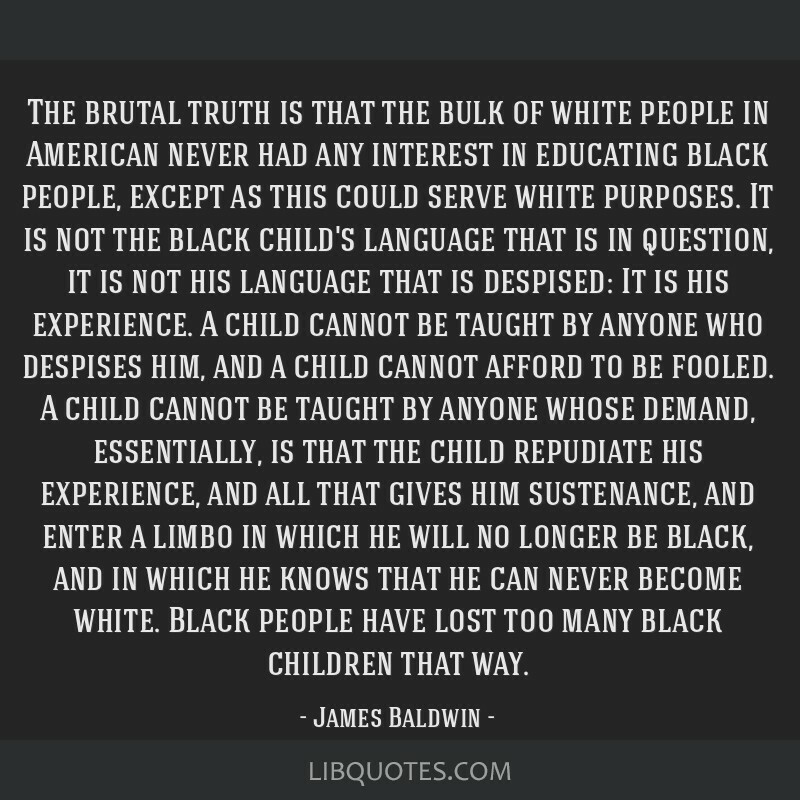 The brutal truth is that the bulk of white people in American never had any interest in educating black people, except as this could serve white purposes. 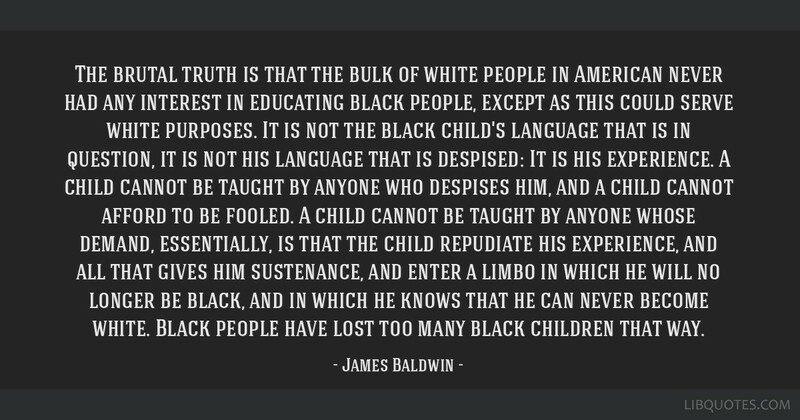 It is not the black child's language that is in question, it is not his language that is despised: It is his experience. A child cannot be taught by anyone who despises him, and a child cannot afford to be fooled. 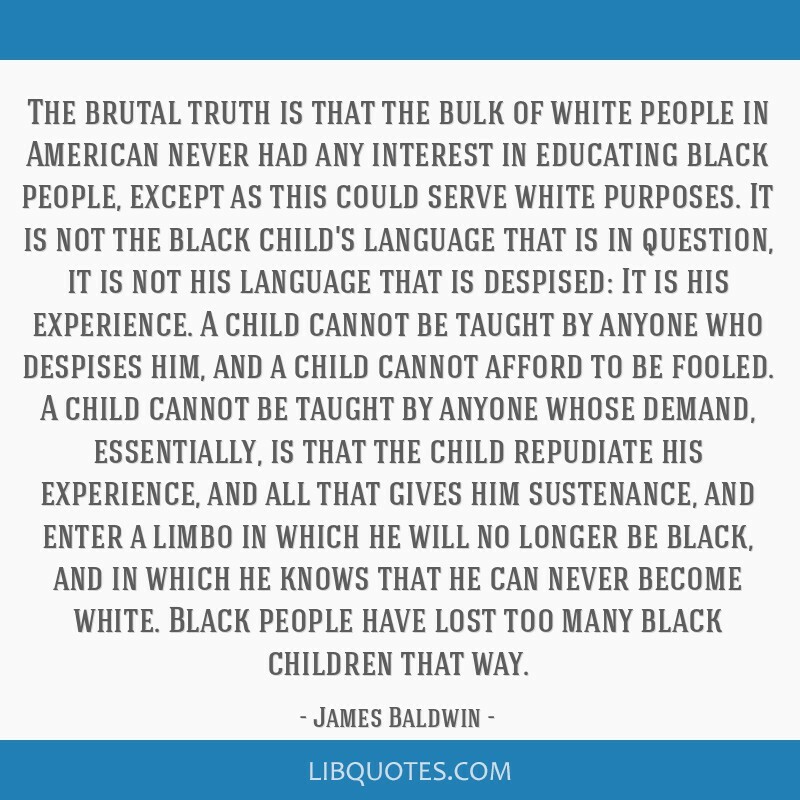 A child cannot be taught by anyone whose demand, essentially, is that the child repudiate his experience, and all that gives him sustenance, and enter a limbo in which he will no longer be black, and in which he knows that he can never become white. 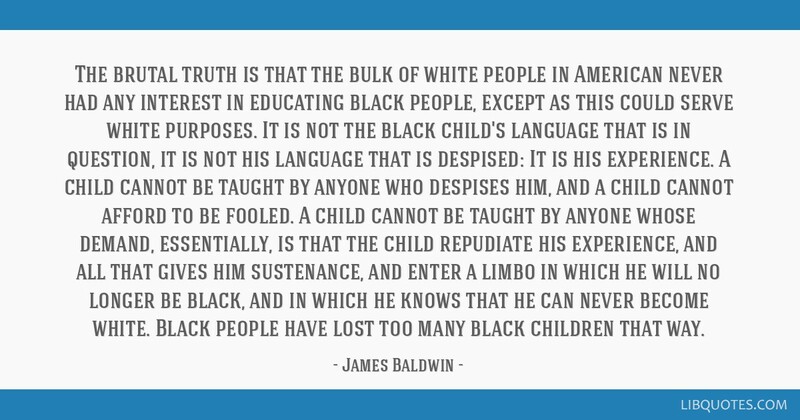 Black people have lost too many black children that way.